Rideshare company Lyft this week announced the launch of a self-driving car division. The company said that the news would build on its open self-driving platform, announced earlier this year, on which its self-driving vehicles will operate, alongside vehicles offered by its partners. Over time, Lyft plans to support a passenger network across the US as further automotive and technology companies join its platform. To underline the importance of its self-driving division to the company’s mission, Lyft said that 10% of its engineers are already focused on self-driving technology – a number expected to rise in the months ahead. The company is also investing in a new development facility in Palo Alto to house its self-driving efforts – the Level 5 Engineering Center. Lyft believes it is well-positioned to develop a self-driving car network, thanks to its scale – it currently provides more than a million rides for its users every day. The proportion of Lyft's engineers already focused on self-driving car technology. 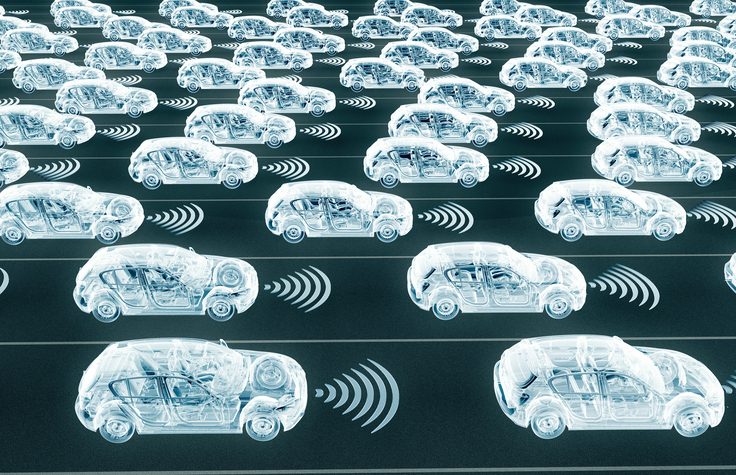 By harnessing the data from these journeys, the company believes it can gain insights that will help it to deliver a better experience for passengers, while collecting training data for self-driving cars. Lyft says that it will “always” operate a hybrid network, offering both human-driven and self-driving car journeys to its riders. But its announcement hints at a longer-term vision for self-driving cars to deliver a significant share of its rides. “As self-driving technology improves, these vehicles will be able to serve more and more of our rides every year — until eventually, we’ve rolled them out at scale,” noted the company’s announcement. Last month, Lyft and self-driving software developer nuTonomy announced a strategic R&D partnership that will see the two companies work together on the passenger experience in autonomous vehicles.